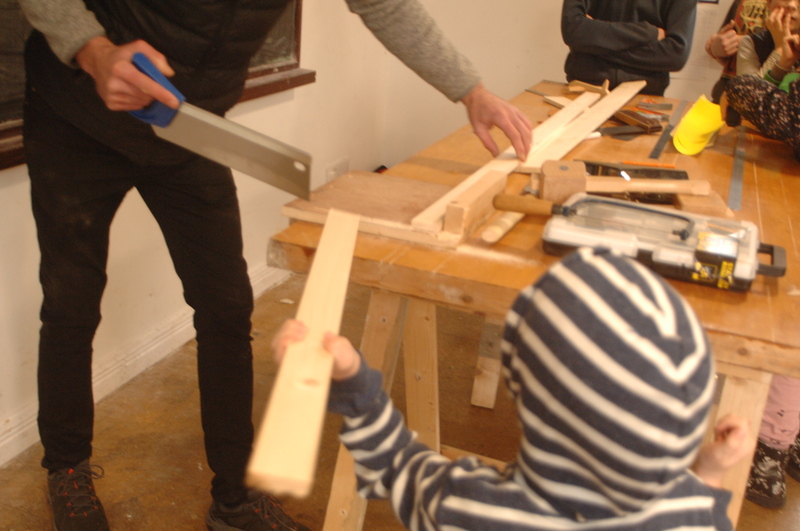 Wed 6th Feb Colin Harte came in to help us with woodwork. We did sawing and squaring and learned what all of the tools did. At the moment we are in the process of making small wooden planes. We started by measuring a plank of wood into a rectangle of 200mm. We were in groups of three so we had to cut the plank into three equal pieces of 200mm. Then we went to saw them. It was tough at first but after a bit I got the hang of it. Then we had to measure the wings. They were a bit shorter than the body. After that we began to saw them. That didn’t take long. Then we had to cut a chunk out of the body for the wings to fit in. We then sadly ran out of time and as I am writing this we will be finishing the planes tomorrow.